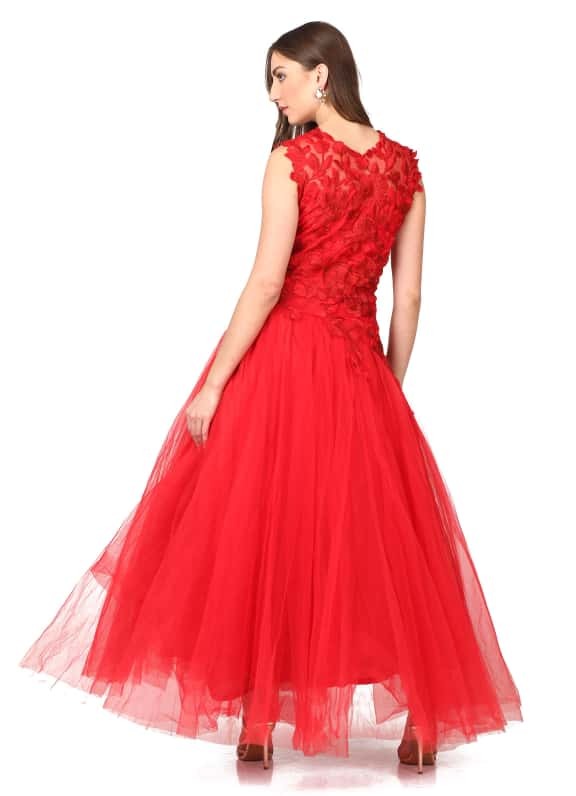 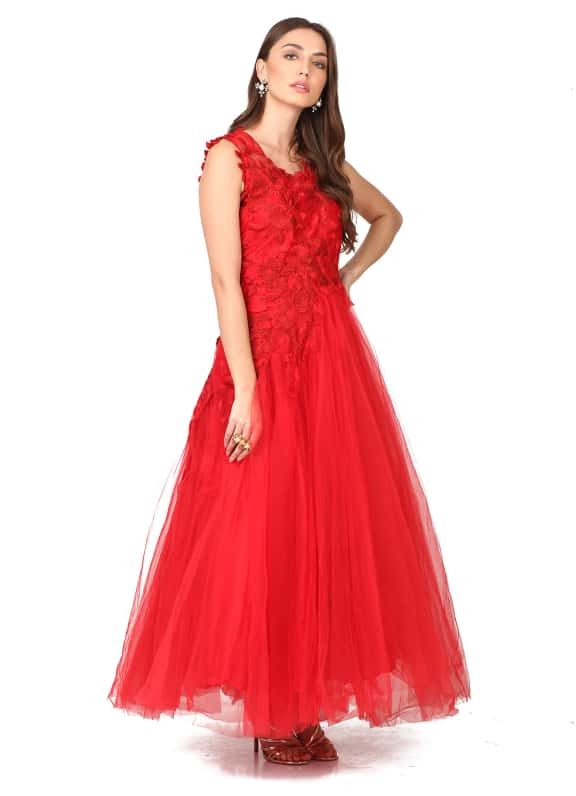 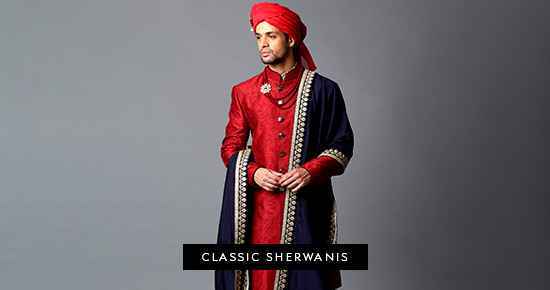 This ensemble features a red net gown with tone on tone floral thread embroidery on the bodice and a voluminous skirt. 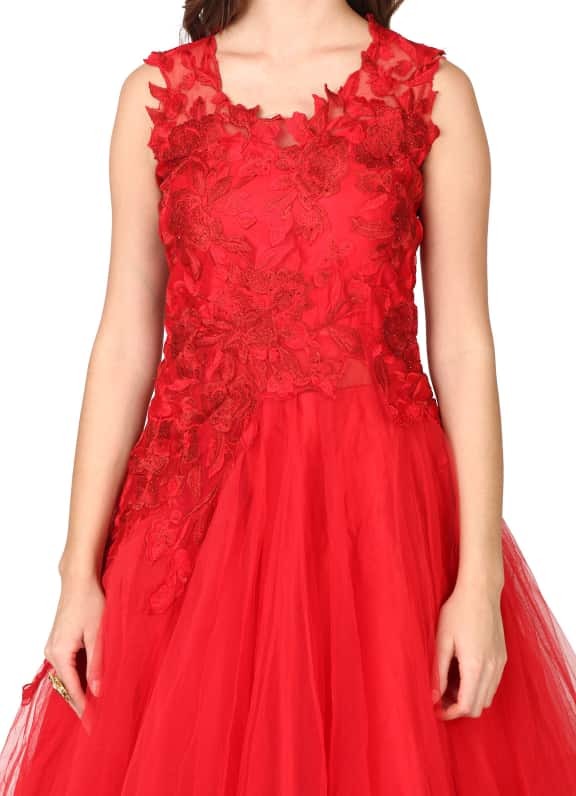 This dreamy red gown is bound to fetch you compliments all night! 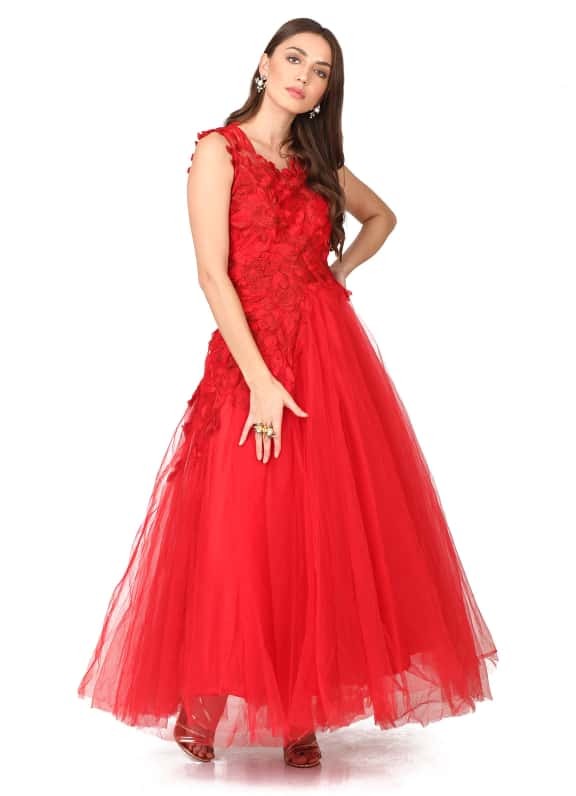 Wear it for your reception night and style your look with a pair of earrings and ring by Micare.